The firefighters you trust, moving the possessions you treasure. All of your moving needs. One company. We provide the same care for the things you treasure. Welcome to MoveStar - Owned and operated by off duty firefighters, MoveStar has been ranked one of the top moving companies in the DFW area by "The Dallas A-List awards". The awards are based on more than 38,000 votes from local North Texas-area experts. 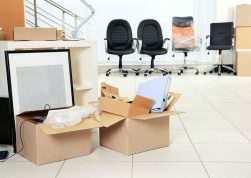 “My wife and I have generally had negative experiences in the past with movers. Either they’re not timely, they don’t care for your belongings, or they do a half-way job (if not all three). We were extremely pleased with our experience with MoveStar.